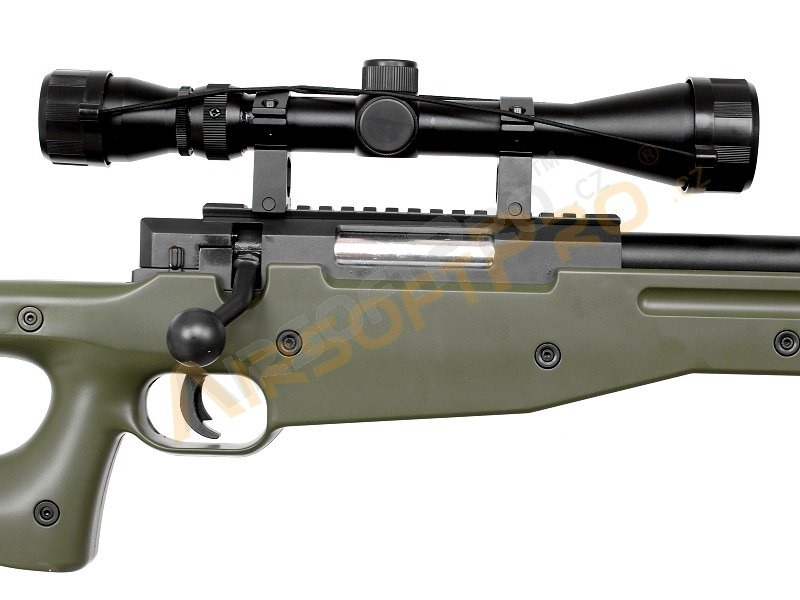 High power spring action sniper rifle. 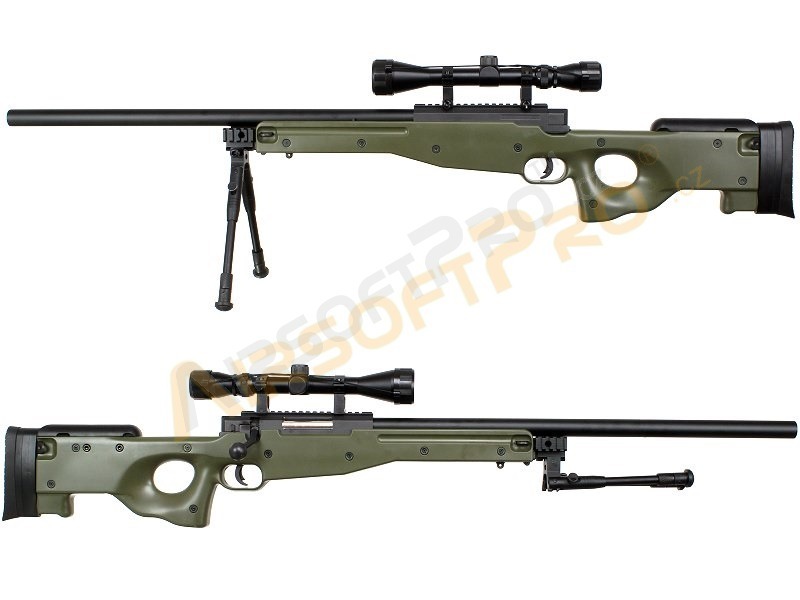 It is an upgrade version of a L96 replica. 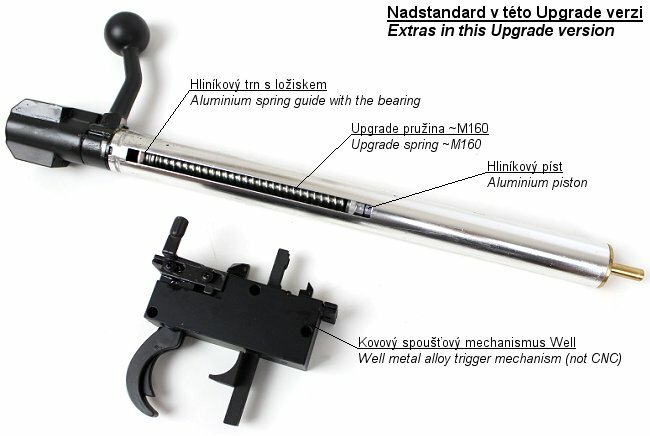 The producer has installed reinforced parts which help to increase the power of the weapon. 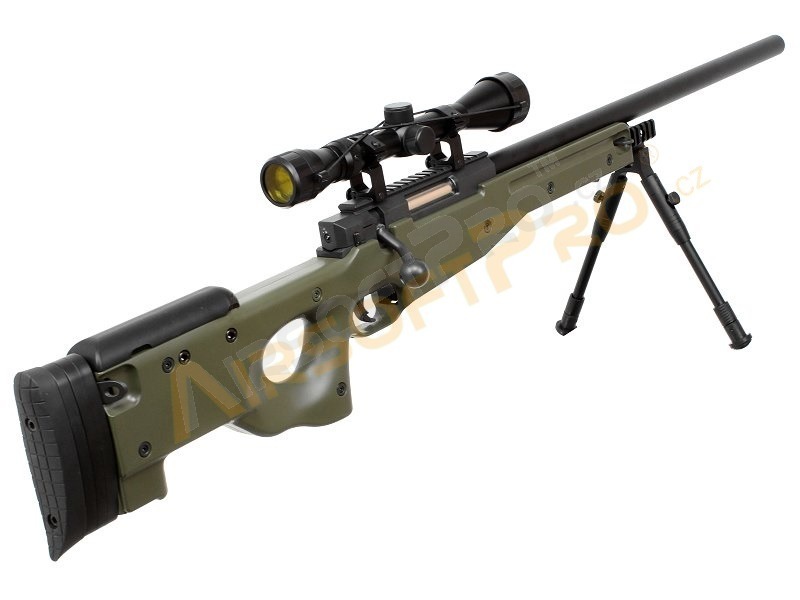 Now the weapon offers velocity about 160 mps. 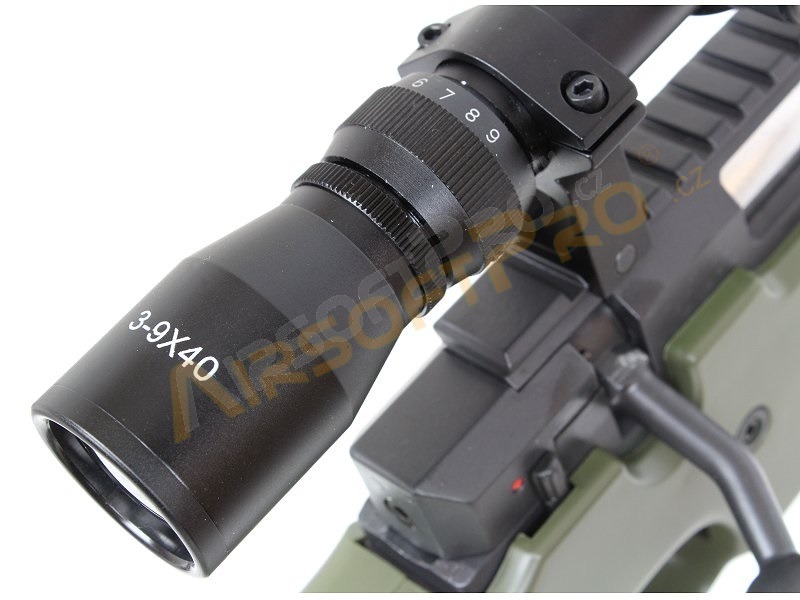 We recommend to use .36g BBs. 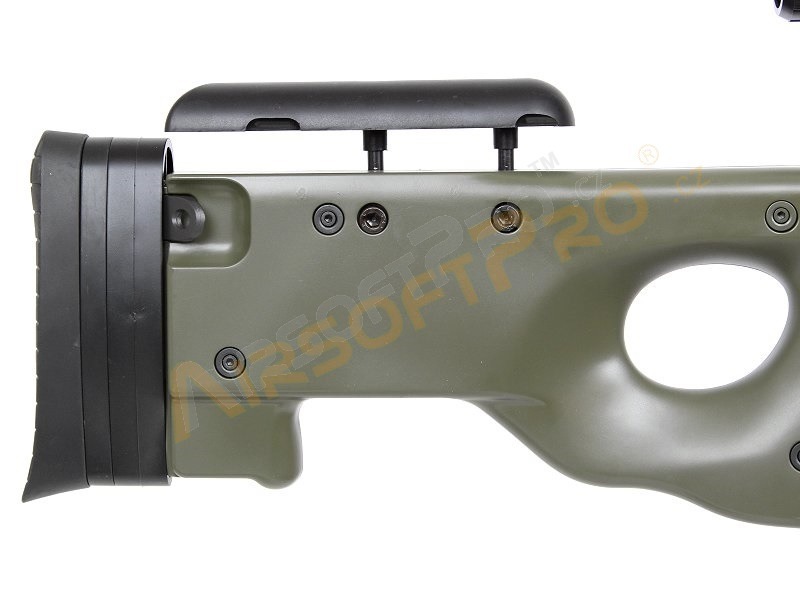 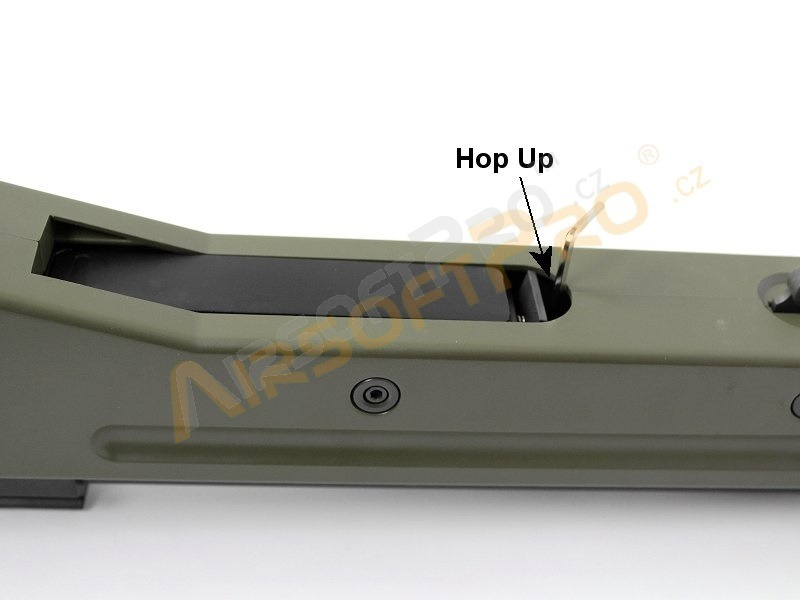 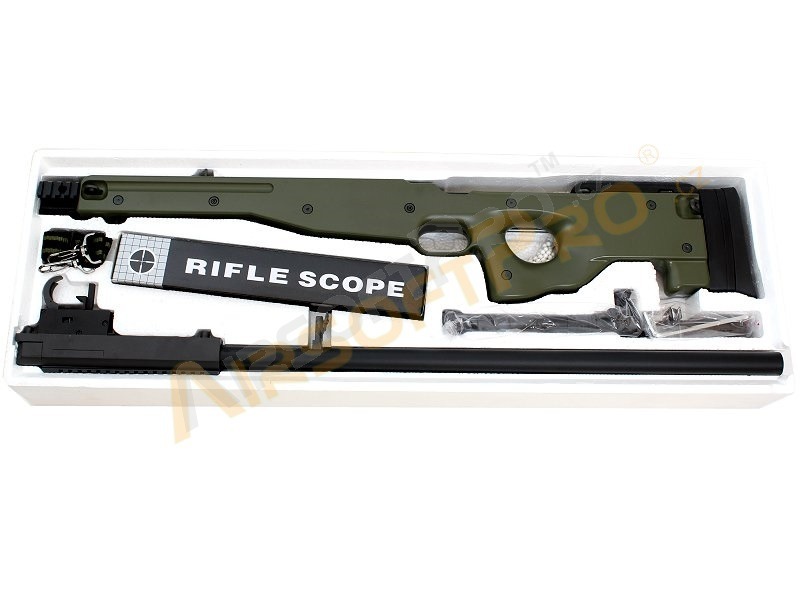 The barrel and the reciever are made of metal, the stock is made of durable plastic. 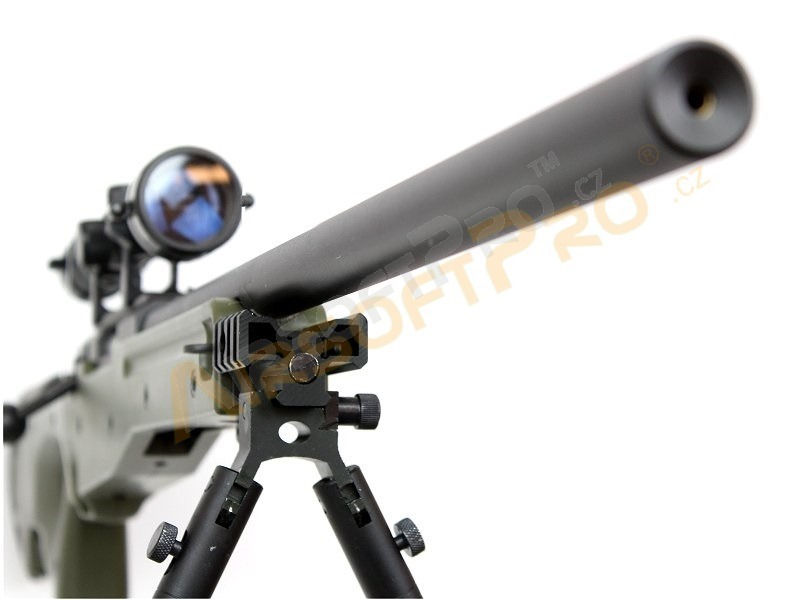 However, a metal bipod and a 3-9x40 scope are included. 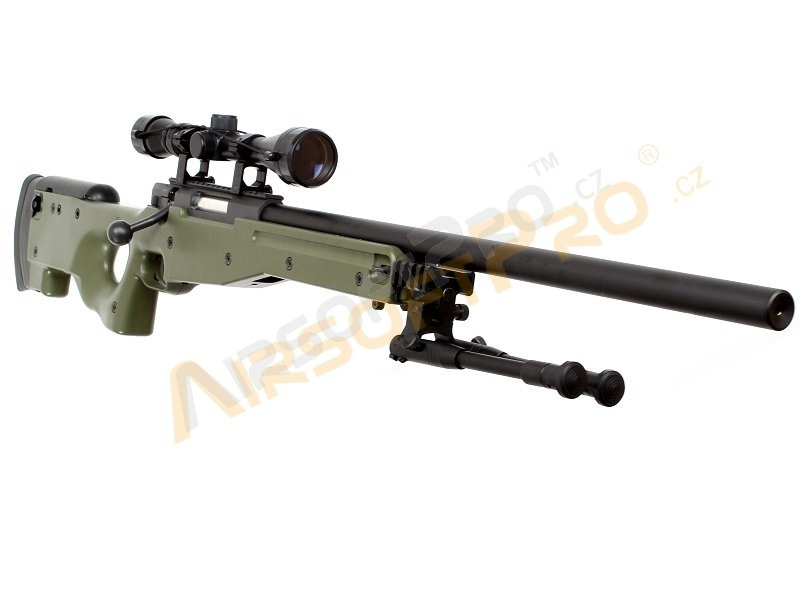 Moreover, if you still want to upgrade this weapon, we do offer quality parts which make the weapon more accurate, powerful and reliable. 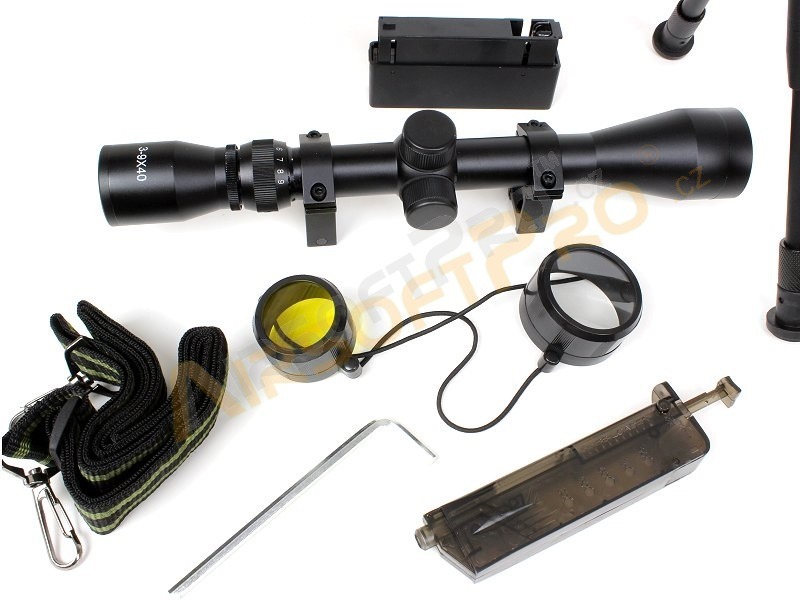 Coming out from our experience, it is possible to reach velocity about 175-180 mps with an M150 spring if complete AirsoftPro upgrade set is installed.